Today, I just wanted to share some prints that I now have for sale in my shop.The first 5 have been available for a few weeks now and I have already sold quite a few, but I just added 4 more! There is something so "charming" about these "sweet" little phrases and I'm really happy how they turned out! I made some notecards to give away at this weekend's workshop, and I'm working on making them available through Etsy! 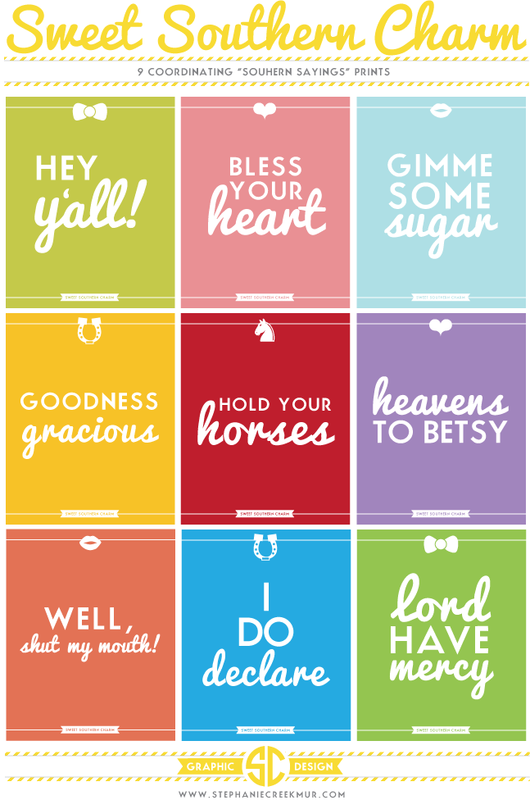 My favorites are Bless Your Heart, Gimme Some Sugar, & Goodness Gracious. How about you? 26 Before 26 | 1 Month to Go!